Pablo Picasso, the iconic Spanish painter created a series of paintings between 1901 – 1904 referred as his, “blue period”. This epoch of the artist’s life was reflected in sombre paintings employing predominantly blue or blue-green hues. Picasso was said to be suffering depression during this period and his choice of subject matter included images of beggars, prostitutes and drunks. Picasso was disturbed by the death of his friend, Carlos Casagemas. The pictures painted during the blue period were not popular at the time. Their cheerless depiction of dolent aspects of life, did not find favour with the public or buyers. Today, like many of Picasso pictures they are highly prized, much sought after and by default incredibly valuable. 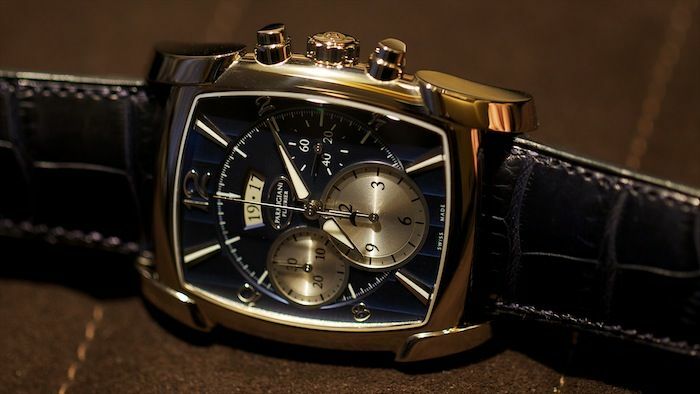 In recent years the watch industry has been exhibiting a blue period. This is not an indication of depression by leading lights within the world of haute horology. Moreover, there does not appear to any ubiquitous compunction to express the seamier or tragic characters depicted by Picasso. Indeed, quite the contrary, many of the timepieces employing blue tinctures are blessed with an eye appeal that imparts joy. Some watches are literally pieces of horological art. I use the term art judiciously because close examination of some timepieces reveals alluring artistic expression. 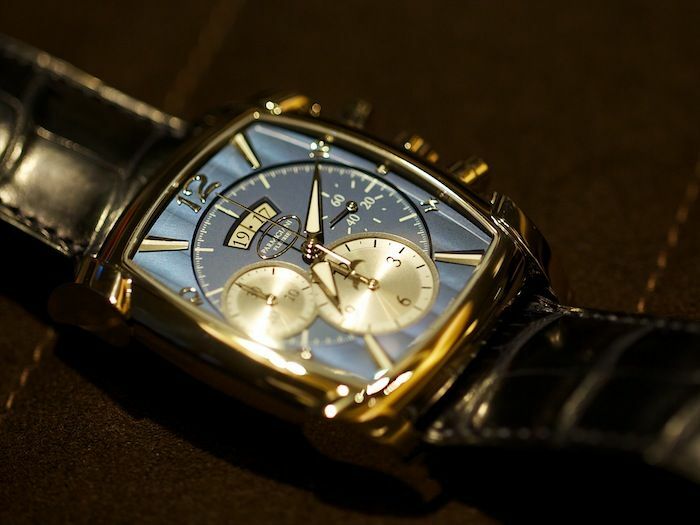 A perfect exemplar of this elevated field of watchmaking is Parmigiani Fleurier. Their products are created by loving artisan’s hands. Screwdrivers and bevels replace brushes, mainplates and bridges are the watchmakers canvas and the bench is his easel. The method of rendition is different but the outcome to my adoring eyes is no less virtuous. A recent visit to the new Parmigiani Fleurier Boutique in Mayfair’s Mount Street provided welcome respite from the hubbub of life in England’s capital city. Within this quiet oasis several horological masterpieces evoke desirous thoughts. There is much beauty to be found on display at the Boutique. 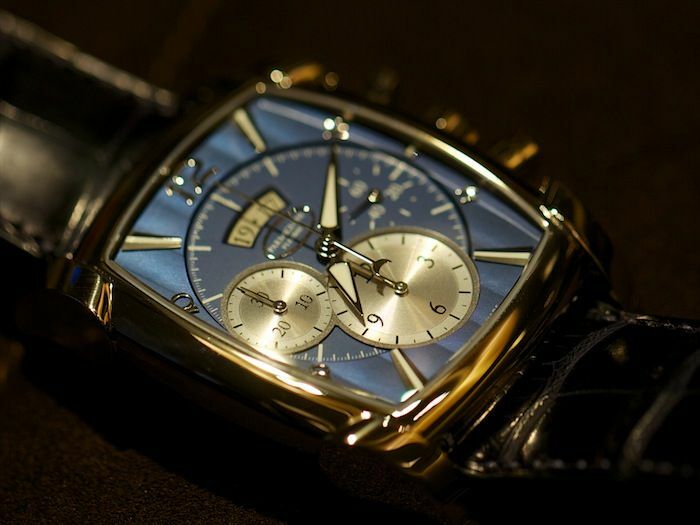 I am enjoying a blue period at the moment when it comes to timepieces. 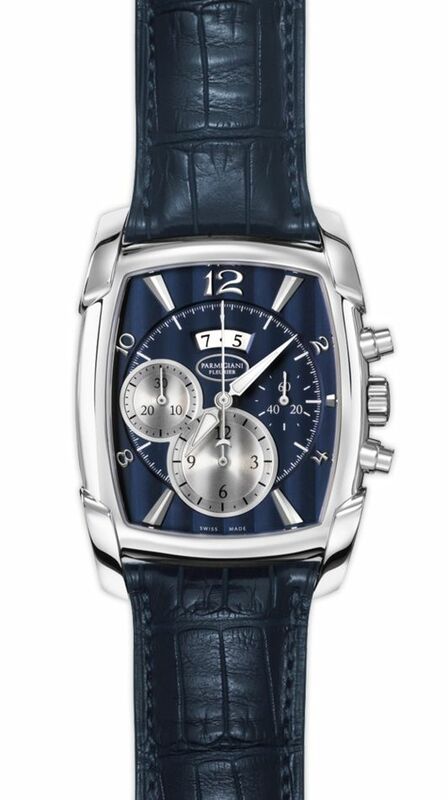 I lack a blue dialled timepiece in my own collection and find myself drawn to watches presented in this regal shade. The Kalpagraphe White Gold Abyss in store at the time of my visit beckoned me to its sinuous form and an episode of enchantment ensued. The outer edges of the dial feature Côtes de Genève motif. It is typically reserved for movements sans colour, yet in this context, presented in blue, it looks exquisite. The central area is presented in a solid blue “velvet finish”. Hours and minutes are depicted with delta-shaped hands with white luminous centres. A central chronograph seconds hand is as svelte as a supermodel and features a crescent shaped counterbalance adjacent its fulcrum. The hours are marked with a combination of applied batons and Arabic numerals. A subsidiary seconds display is located at 3 o’clock against the blue “velvet finish”. At 6 o’clock a 12-hour counter resides. It is presented in a contrasting shade of silver helping to differentiate the stopwatch functions of the timepiece. The counter is snailed at its centre and framed with a circlet, sunray brushed, marked with alternating short and long strokes. Interfacing with the 12-hour counter is a second counter located at 9 o’clock. This is the 30-minute chronograph counter and is presented in smaller form, yet repeats the design language of its larger neighbour. I normally wax-lyrical about dials where symmetry is conferred, especially where subdials share the same scale and colour. However, in this instance, the departure from this works wonderfully, providing a harmonious outcome. Beneath noon is an elongated, curved aperture revealing the date. The dial is spectacular, but then I should not be surprised. 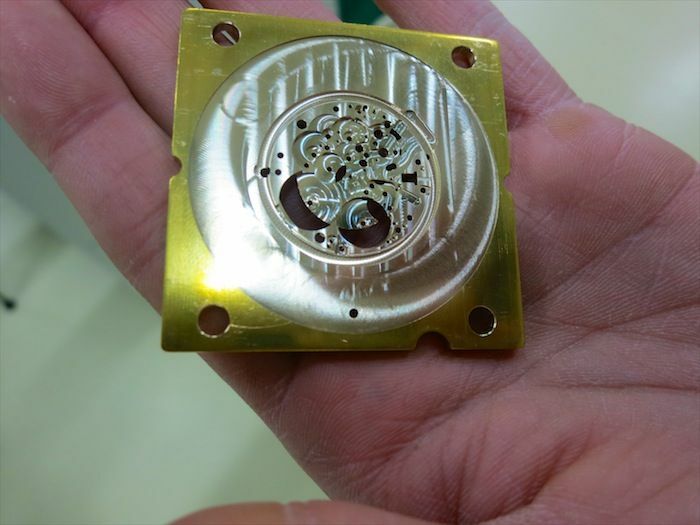 I visited Quadrance et Habillage in La Chaux-de-Fonds in 2012 where the dials are made. 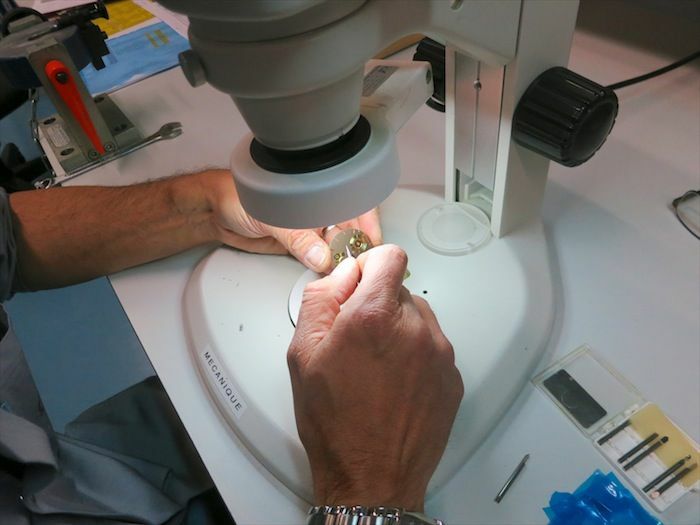 The factory is part of Les Manufactures Horlogères de la Fondation (MHF) and supplies dials to many famous names that populate the highest echelons of haute horology. 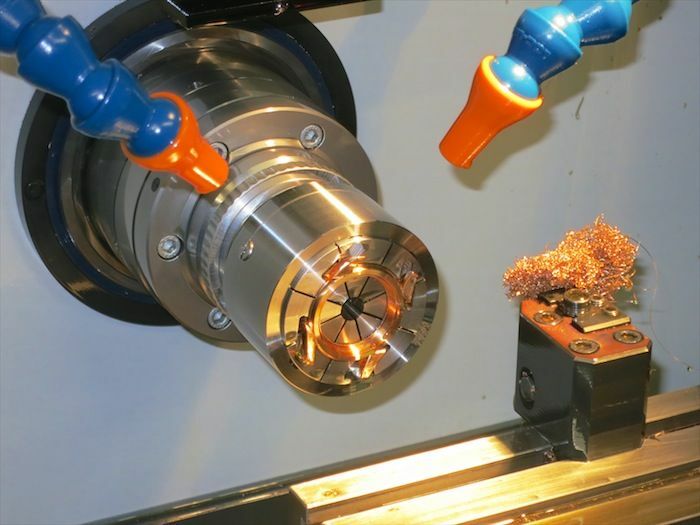 The staff exhibit profound skill and competence, resulting in fine dials being formed. A further example of vertical integration is the production of cases at Les Artisans Boîtiers in La Chaux-de-Fonds, again part of the group of companies involved in creating the Parmigiani Fleurier timepieces. The tonneau shaped case is presented in 18-carat polished white gold. Measuring 44.5mm x 39.2mm and with a depth of 12.8mm, the watch sat comfortably on the my wrist. The chrono pushers, slightly oval in appearance, have a wonderful positive action and require only light pressure to function. It provides an indication that within the handsome case is a matchless movement. Moreover, on the reverse of the watch a sapphire crystal caseback allows the wearer to observe the magnificent Manufacture movement, the PF 334. A Hermès strap, the only component other than sapphire crystals not made within the group, completes the elegant ensemble presented. 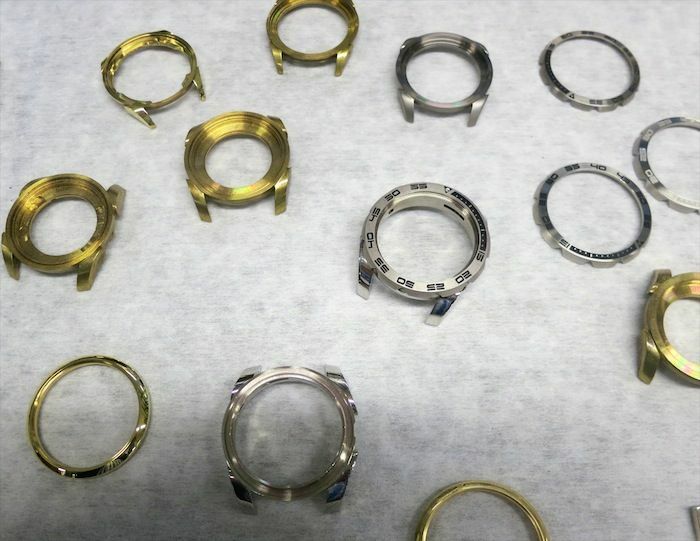 Vaucher Manufacture in Fleurier, one of the five manufacturing sites, is responsible for making high quality Swiss movements. 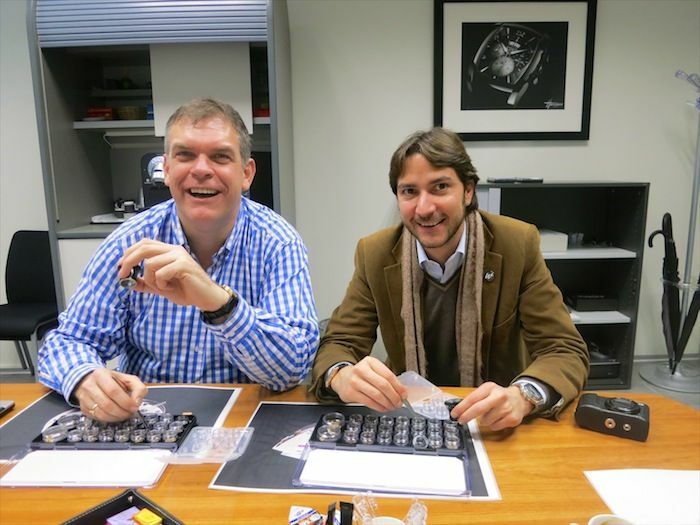 They are practitioners of the peerless finissage synonymous with the best haute horology has to offer. The PF 334 movement within the Kalpagraphe White Gold Abyss harnesses all of the know-how of the timed-served artisans who work in this modern atelier. 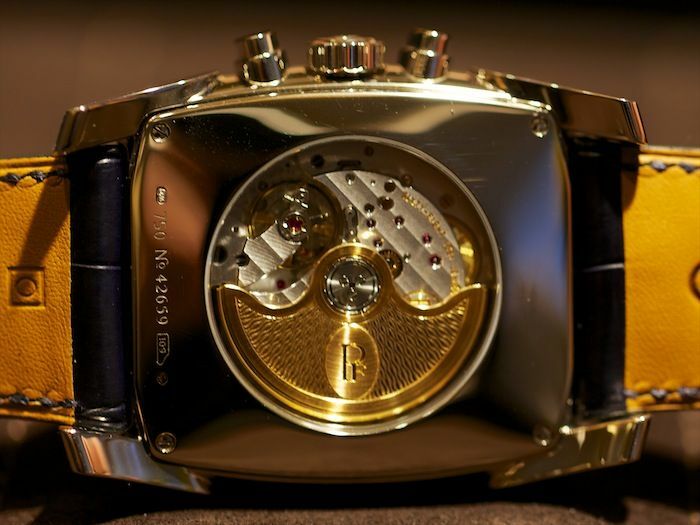 The self-winding movement has an impressive specification. It contains 303 components including 68 jewels, a power reserve of 50 hours courtesy of two series-coupled barrels and a sublime 22-carat white gold oscillating weight. Whilst the specification is superb, it is the fine finishing which I find truly awe-inspiring. The bridges are decorated with Côtes de Genève motif with perfect hand-bevelled edges. Perlage is beautifully presented on the mainplate and slots are pristine and shine with a mirror-like brilliance. Picasso chose blue as a colour for expression whilst he was suffering depression during the period of 1901 and 1904. I continue to crave a blue dialled watch, not because I feel subdued or disenfranchised with life, but because the aristocratic shade engenders a serendipitous mood in me. It is the colour of warm summer skies and inviting waters which wash upon sandy shores. The Parmigiani Fleurier Kalpagraphe White Gold Abyss is a charming expression of craftsmanship and artistic flair. Moreover, I feel it provides a wonderful metaphor for the joy of life with its distilled presentation of time. Case: 18-carat white gold; dimensions 44.50 mm; height 39.20 mm ; water resistant to 3 bar (30 metres); sapphire crystal to front and caseback. Functions: Hours; minutes; subsidiary seconds; date; chronograph. Movement: PF334, self-winding; frequency 28,800vph (4Hz); 68 jewels; power reserve 50 hours; 303 components. 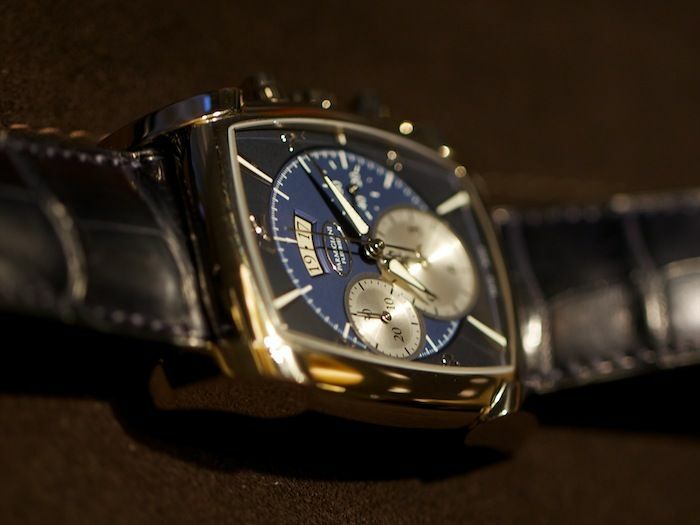 Strap: Indigo blue alligator leather strap presented on 18-carat white gold ardillon buckle. Visit the official website for more information, click here.